The United Nations’ cultural body is facing a backlash after it decided to honor the "life and works" of the Marxist Argentinian militant Che Guevara, a controversial figure long viewed as a hero of the left. The U.N. Educational, Scientific, and Cultural Organization (UNESCO) announced earlier this week that it would include Guevara’s "life and works" in its 2013 "Memory of the World Register," which codifies historical material that has a "world significance and outstanding universal value." Guevara’s works were submitted to the register by Bolivia and Cuba in 2012. They were accepted earlier this week and endorsed by the director-general of UNESCO. The announcement sparked an outcry from Cuban-American members of Congress and former U.S. officials who said the United Nations is sullying its reputation by honoring a revolutionary figure who murdered many innocent civilians. "This cretin described himself as a ‘killing machine,’ and he worked in the service of a totalitarian regime," Roger Noriega, a former State Department official and U.S. ambassador to the Organization for American States, told the Washington Free Beacon. "The fact that he is an icon of the left is merely ridiculous," Noriega said. "That his works would be honored by UNESCO is more evidence of the breathtaking hypocrisy and profound ignorance of that institution. The U.N. should be ashamed of perpetuating this diabolical myth for another generation. " Rep. Ileana Ros-Lehtinen (R., Fla.), a Cuban-American member of Congress, said in a statement that the UNESCO award borders on self-parody. "UNESCO continued its longstanding tradition of making a mockery of its own institution when it opted to venerate and memorialize the life of a blood thirsty, murderous sadist," Rep. Ros-Lehtinen said in a statement released Monday. "This decision is more than an insult to the families of those Cubans who were lined up and summarily executed by Che and his merciless cronies but it also serves as a direct contradiction to the UNESCO ideals of encouraging peace and universal respect for human rights," Ros Lehtinen said. UNESCO is the same body that unilaterally accepted the "State of Palestine" as a member, a move that cost it U.S. funding. The State Department is preparing to give UNESCO $230 million, which Ros Lehtinen labeled as unconscionable. UNESCO has included an "inventory of the documents" from the "Life and Works of Ernesto Che Guevara." These "include 1007 documents—grouped in a total of 8197 pages—that cover the period from 1928 to 1967, concerning his revolutionary work, essays, news paper articles, biographical materials and personal works, as well as his correspondence with different persons, and his family," according to UNESCO’s website. "Of the total sum, 431 are manuscripts by Che and 567 are documents about Che or related to him. 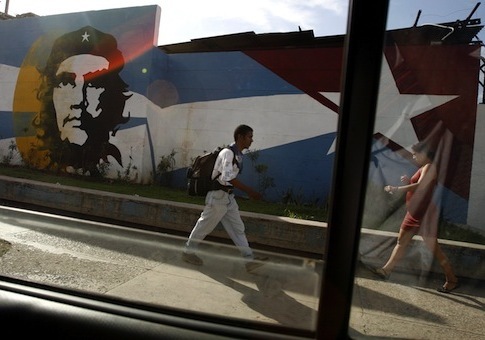 It also includes valuable iconographic material by and about Che, films, letters, and museum pieces," UNESCO announced. In submitting Guevara’s works in 2012, Cuba and Bolivia argued that they embody "an outstanding combination of action and ideas forever inscribed in the political thinking of Latin America during the second half of the 20thcentury." They are "an example of the organic intellectual, the revolutionary who knows no borders, which explains the deeply universal nature of his extensive legacy and the impact of his work beyond the Third World in his constant search for a strategy to emancipate the dispossessed of the world," Cuba and Bolivia wrote in their nomination essay. Two UNESCO spokesmen did not return request for comment. This entry was posted in Politics and tagged UNESCO. Bookmark the permalink.